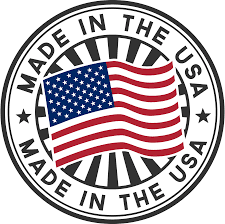 Our product was developed and brought about through necessity. Our “Team Gun Butter” had experienced lubrication failures or dry gun conditions while using virtually every type of lubrication product available on the market. Individual lubes failed for a host of reasons in the varied conditions experienced by our shooters throughout the United States during all four seasons. This is what prompted us to develop a firearms lubricant that would work in any weather condition every time. Gun Butter was developed for shooters by an empathetic and energized Aerospace Engineering Design Team. Their input using Continuous Quality Improvement ideals and techniques allowed the development of a firearms lubricant that exceeded our wildest expectations. Our personal experience has shown that Gun Butter not only allows our guns to function better and longer with confidence. Now jams and or malfunctions can no longer be attributed to lubrication problems. There are probably several types of lubrication that will conceivably work for you in your normal shooting environment and local conditions. It is the weather extremes forced on us that exceed our expectations that can diminish performance if we are not suitably equipped with a product like Gun Butter. 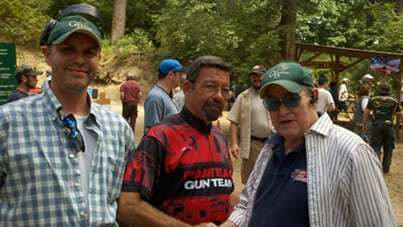 This was witnessed by Drew Dorsett (USPSA ty43772) during the AREA 1 Championships in 2003. Drew won the Open Division, beating all the Master and Grand Master Class competitors in attendance. Drew was an “A” Class competitor who was using our Gun Butter Prototype. The championship experienced extreme conditions, it was snowing and blowing one day, latter raining, and subsequent days experienced swirling blowing dust clouds. 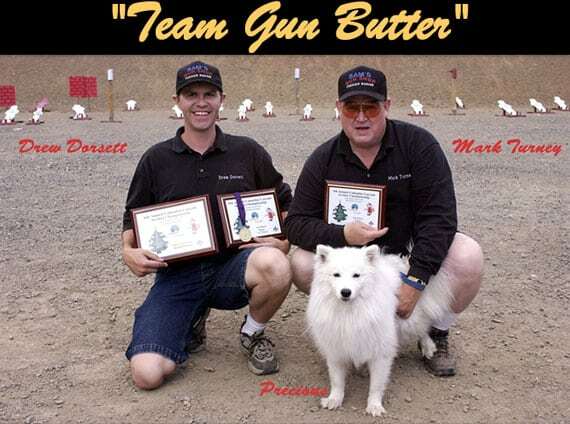 Drew attributes part of his ability to perform consistently and win to his confidence in his gun using Gun Butter. Drew had a trouble free shoot for his gun in these extreme conditions, allowed by the performance lubrication provided by Gun Butter. Gun Butter is for all types of metal-to-metal, metal-to-plastic, and plastic-to-plastic mechanisms’. Our lubrication reduces galling and wear, provides two-year rust protection that extends the service life of your favorite recreational mechanical device. Gun Butter Oil is not grease; its oil will resists change and perform consistently below -70 degrees to over 400 degrees Fahrenheit. Our complete all-weather lubricant will not burn up or evaporate in summer’s heat; it functions normally in freezing weather, stays intact during pouring rain, and repels debris.